Pernicious anemia earned its name because it was once a fatal illness before treatment options were discovered. Now, it is common knowledge in the medical community that pernicious anemia–also known as megaloblastic anemia–can be treated with vitamin B12. As such, vitamin B12 and pernicious anemia are intrinsically linked. Anemia is a medical condition in which the body decreases its production of red blood cells, the blood’s hemoglobin count decreases, and/or the blood carries less oxygen. Pernicious anemia is a specific type of anemia in which the body fails to make enough red blood cells. The body is unable to produce red blood cells because the process requires two key ingredients: vitamin B12 and intrinsic factor (a type of protein made in the stomach lining). In the digestive tract, vitamin B12 binds with intrinsic factor so that the vitamin can be absorbed in the small intestine. Intrinsic factor is necessary for B12 absorption. In most cases of pernicious anemia, the body’s own immune system attacks the cells in the stomach that manufacture intrinsic factor. As such, there is no intrinsic factor to bond with B12, so the body is unable to absorb this nutrient. Without vitamin B12, the body is unable to produce a sufficient quantity of red blood cells, which results in pernicious anemia. The progression of pernicious anemia’s symptoms is slow, so it is difficult for many people to recognize the root of their problem. The only way to tell for sure if you have pernicious anemia is to consult with your doctor, undergo testing for complete blood count (CBC), vitamin B12 deficiency, and/or intrinsic factor deficiency. If you regularly have any of these symptoms then consult with your doctor as they could indicate a serious health problem. Now that the link between vitamin B12 and pernicious anemia has been established, this condition is no longer fatal. Treating pernicious anemia requires addressing the vitamin B12 deficiency. Since the intrinsic factor in the stomach is compromised, it is necessary to take alternate steps to ensure that the body receives the B12 necessary to create red blood cells. Injectable B12 is the most common treatment as injections bypass the stomach entirely so the vitamin is absorbed directly into the blood stream. 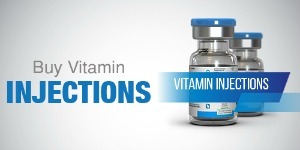 You may buy B12 shots from our selection of vitamin injections. Our pharmacy offer the convenience of delivering injections right to your door. Once you are on a vitamin B12 regimen to treat pernicious anemia, it is important to continue to monitor your B12 and iron levels. This will be a lifelong process, though regularly taking vitamin B12 can help keep the illness at bay. The question regarding why use vitamin B12 is clearly shown here: so that you can avoid illness such as pernicious anemia and treat those conditions if you do happen to fall sick. Vitamin B12 is a crucially important vitamin, so be sure to include sufficient amounts in your diet and supplement choices.